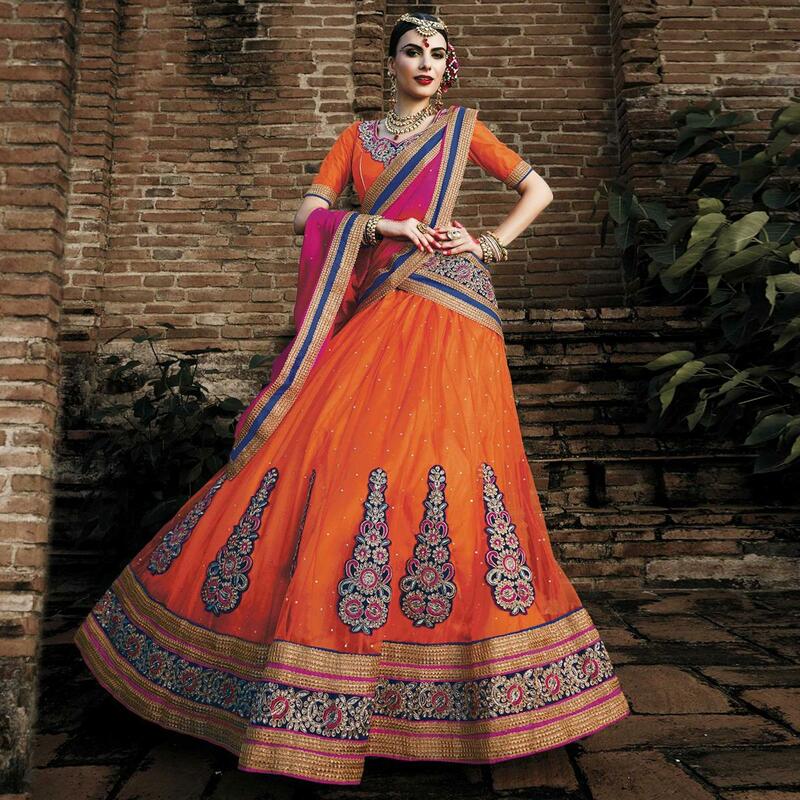 Look beautiful on your cousin's wedding function with this orange - rani pink A line lehenga saree. 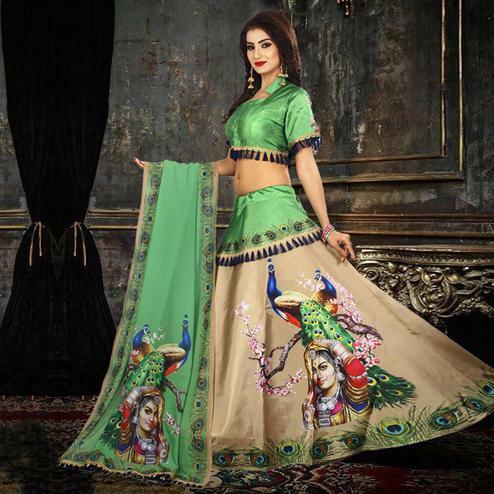 This Indian outfit has got net fabric lehenga detailed with big floral patch and stone work at the bottom half and embroidery, zari work lace at the hem. This outfit is teamed with orange net fabric blouse having patch work neckline and rani pink chinnon chiffon dupatta. Ideal for weddings and traditional functions.